This elongated tapered cylinder is from a tapelift collected in an elementary school classroom. 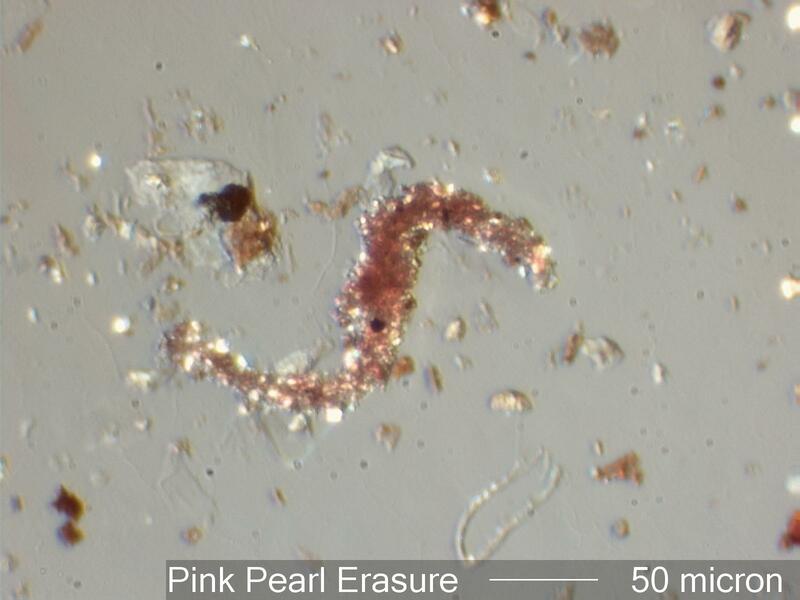 It is pink pearl erasure dust. Transmitted Off Crossed Circular Polarized Light and Reflected Darkfield Illumination.